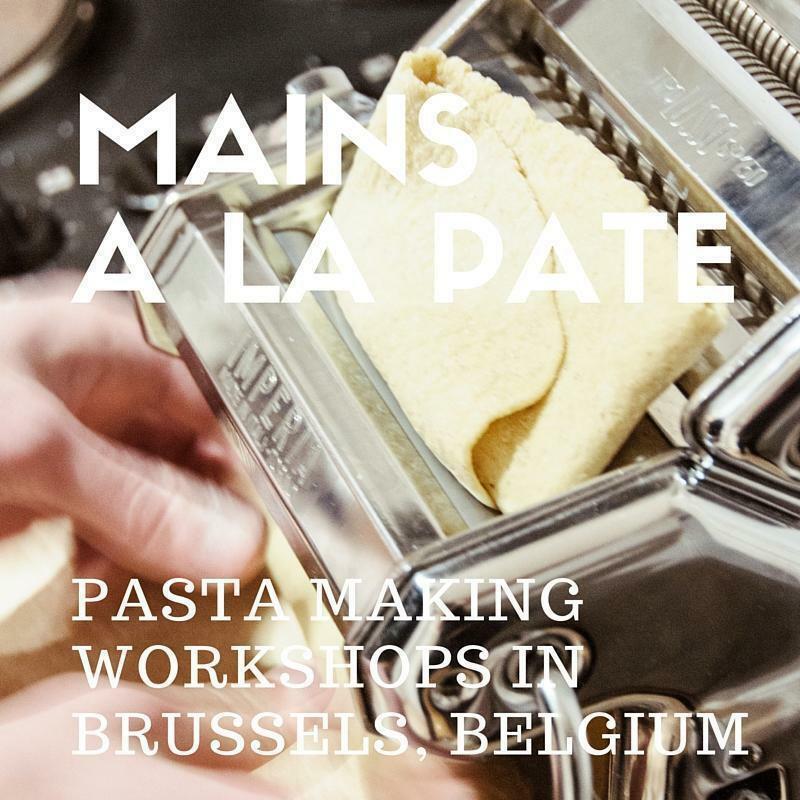 A new pasta making workshop in Brussels, Belgium, Mains à la Pâte will not only get your ‘hands in the dough’ but will teach you Italian culture as well. 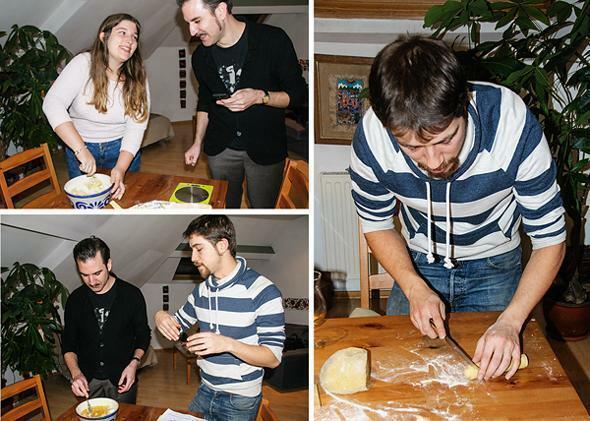 A few weeks ago, I shared some of my favourite cooking classes in Brussels. Today, I have another to add to that list. 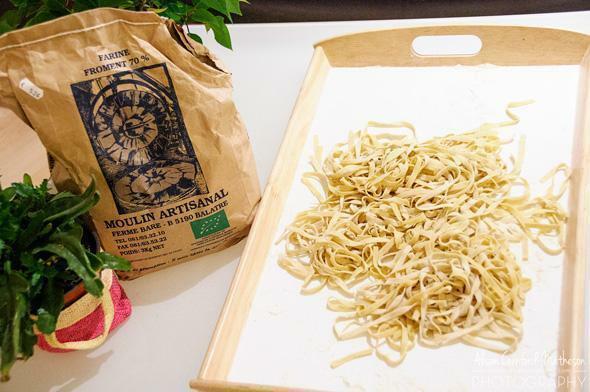 If you’ve ever wanted to make your own fresh pasta from scratch but thought it was too challenging or time consuming, Mains à la Pâte is for you. Mains à la Pâte is the brainchild of Chef Michele Ambrosio a friendly, young, Italian expat in Brussels. I had the pleasure of meeting Michele at a travel bloggers event, where he spoke with such passion about his project; I knew I had to learn more. 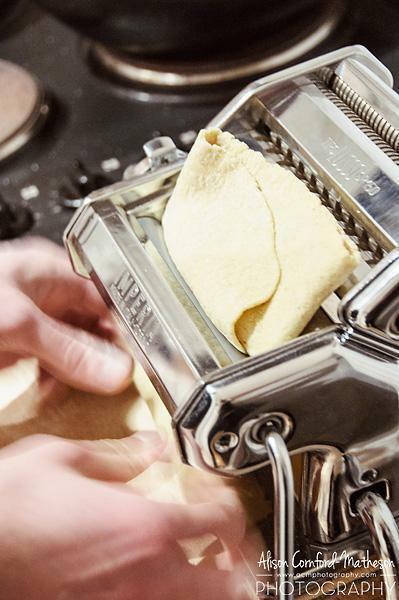 The concept behind Michele’s project is elegantly simple – sharing Italian culture and tradition through the making of fresh pasta. Mains à la Pâte is more than just a cooking class where you follow step-by-step instructions, although this is an important aspect. While learning how, you also learn why, which as you know, is something we’re always seeking here at CheeseWeb – the passionate stories explaining why someone does a particular thing. As we got stuck in kneading our pasta dough, Michele shared some of the traditions, legends, songs, and even poetry surrounding the pasta. Who knew there was so much to say about tagliatelle! Another great reason to love Mains à la Pâte is Michele’s commitment to sustainability. 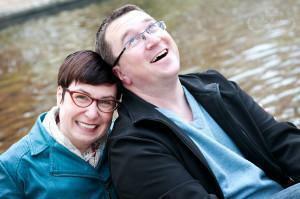 He endeavours to use locally sourced, organic products wherever possible. In the few cases there is no good local alternative, he uses organic products straight from Italy. While we created our pasta, we enjoyed organic Italian wine from the Marché des Tanneurs here in Brussels. We were also able to sample some of Chef Michele’s other creations during our appetiser and dessert. 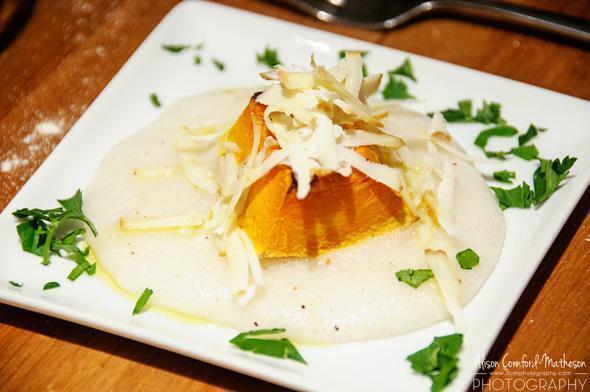 Pumpkin, polenta, and scamorza cheese. 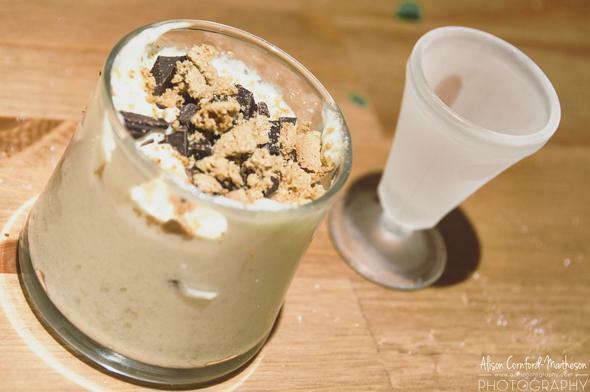 A little tiramisu for dessert? Yes please! 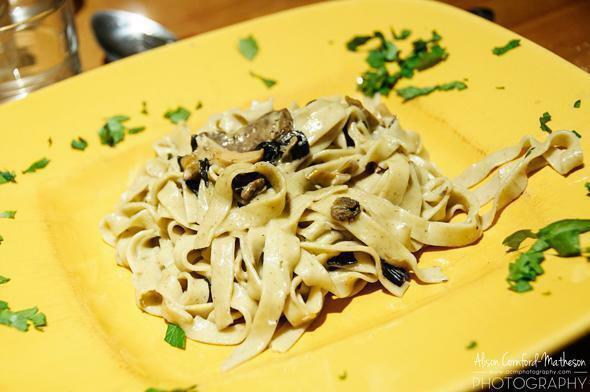 But of course, the star of the meal was our beautiful hand-made tagliatelle, complimented by a wild mushroom and cream sauce. 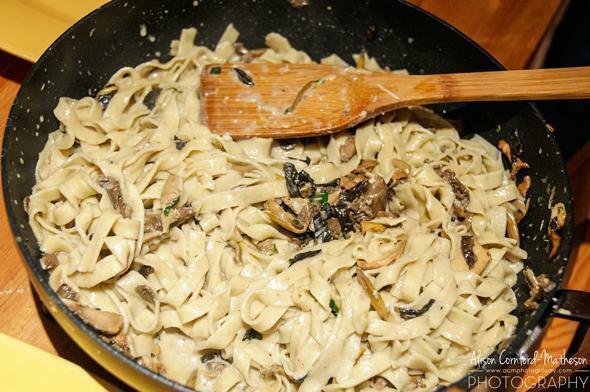 The bold flavours of the fresh pasta sang through the earthy tones of the mushrooms. Currently, Michele is fundraising to bring Mains à la Pâte to a whole new level. In phase two, Michele has plans for a Mains à la Pâte workshop that would also include a shop selling artisanal pasta and Italian products such as sauces, oils and even pasta machines. “In the same time, the place would also welcome activities and events to exchange and share on an alternative food consumption in order to reflect on a more responsible, sustainable world. If this sounds like a project worth supporting (and we certainly think it does), you have until January 1st 2015 to contribute.